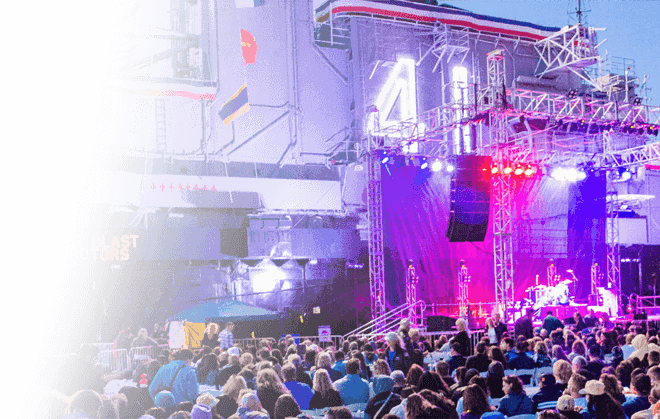 Experience the expanse of a floating Hangar Deck, home to the Battle of Midway Theater and the Combat Information Center. 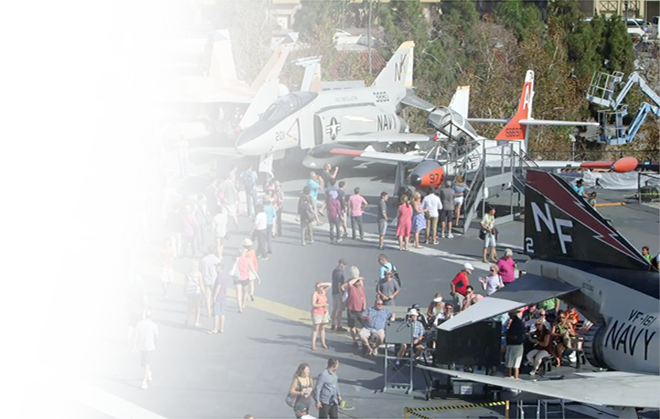 Examine vintage aircraft from World War II, explore a special display on the humanitarian rescue off Saigon, and climb into actual aircraft cockpit trainers. 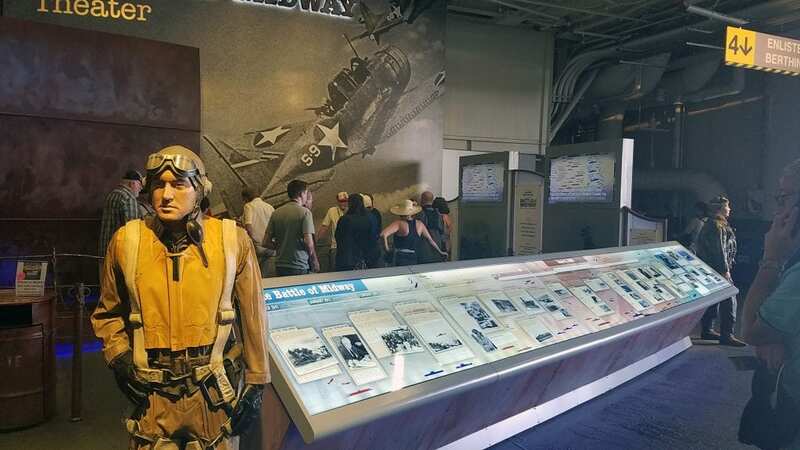 Before you visit our holographic theater, take time to interpret our interactive displays on the Battle of Midway, including our carefully restored F4F Wildcat fighter and SBD Dauntless dive bomber aircraft. 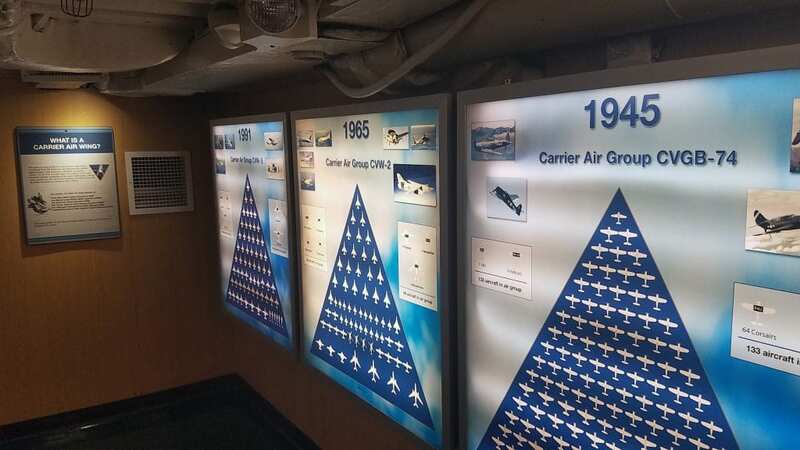 Our Operation Frequent Wind display encapsulates a unique part of the Midway’s history: her special role in saving refugees as Saigon fell in 1975. 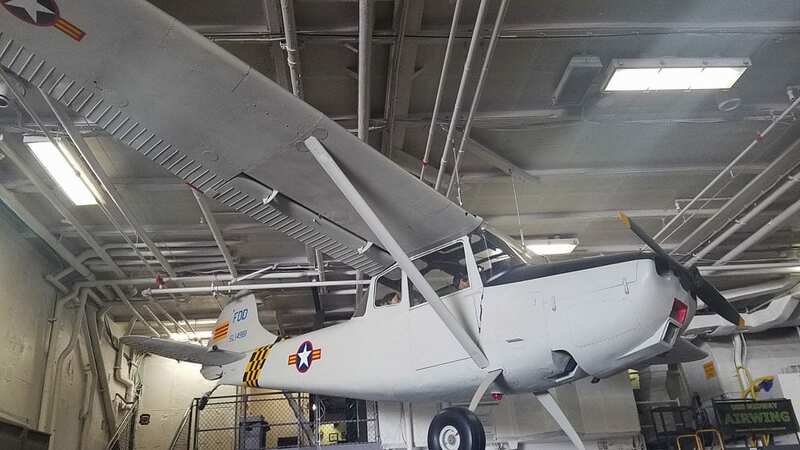 Perched directly above this exhibit is an example of the Bird Dog light plane that contained an entire family which made a desperate landing on the Midway’s Flight Deck. 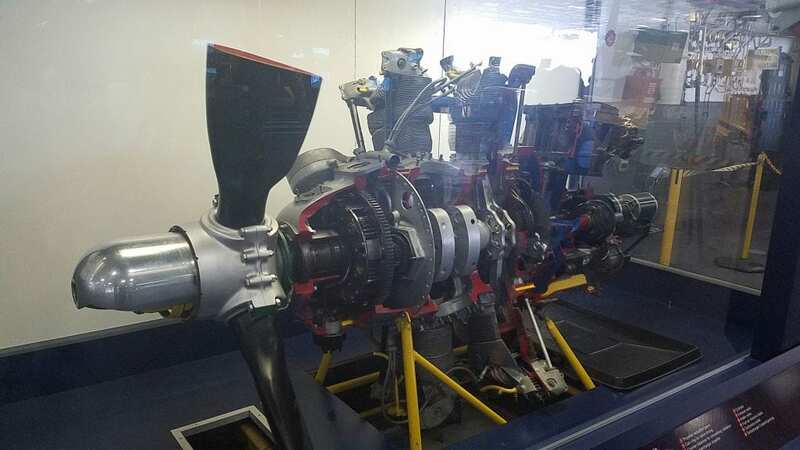 Unique among our displays, examine the complex inner workings of a World War II era R-2800 Twin Wasp engine, specially arranged to exhibit how its components interacted to produce the horsepower for historical aircraft like the F4U Corsair. 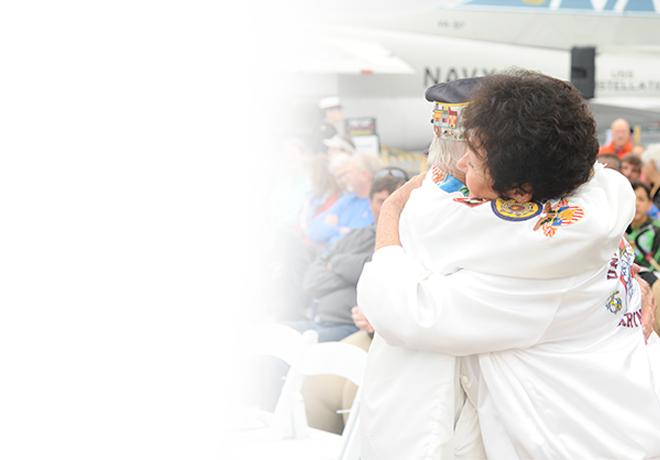 Just missing World War II by weeks, the Midway deployed wartime aircraft designs in her early career, such as our F4U Corsair, TBM Avenger, and SNJ Texan utility plane. 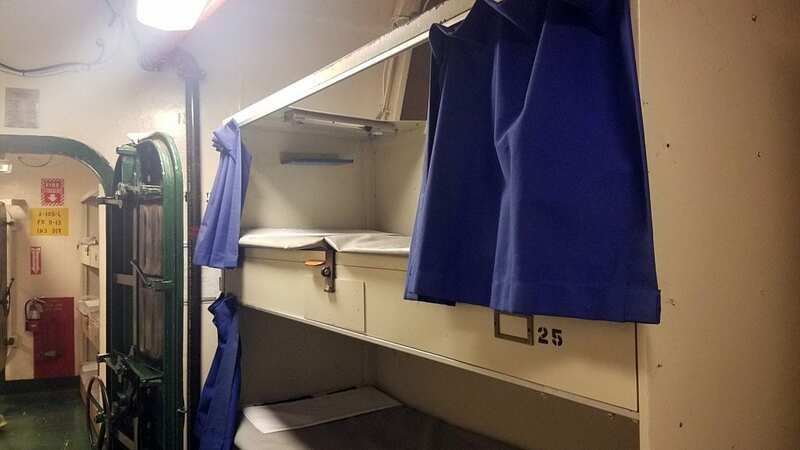 See the tight quarters where the crew slept! 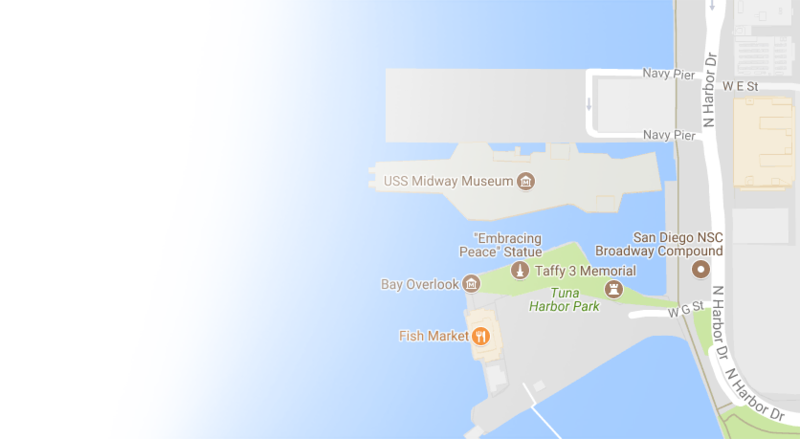 Lay down in one of the bunks to see what it was like to sleep under the Midway’s busy Fight Deck. 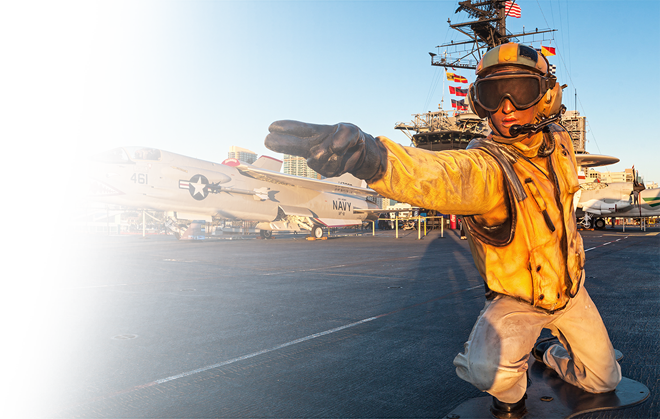 Explore the world of the carrier aviator with our Squadron Ready Rooms, watch the evolving history of the Midway’s Carrier Air Wing, see the story of naval helicopters, and learn how the pilots and supporting staff lived and worked just inches below the flight deck. 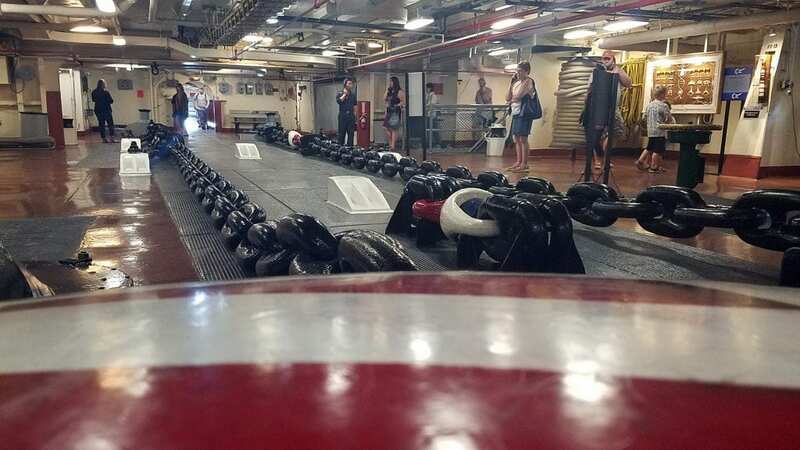 Step into the fo’c’sle of the ship, where you can take a look at the anchor chains of the ship. Also in this space, learn and practice how to tie a variety of knots! 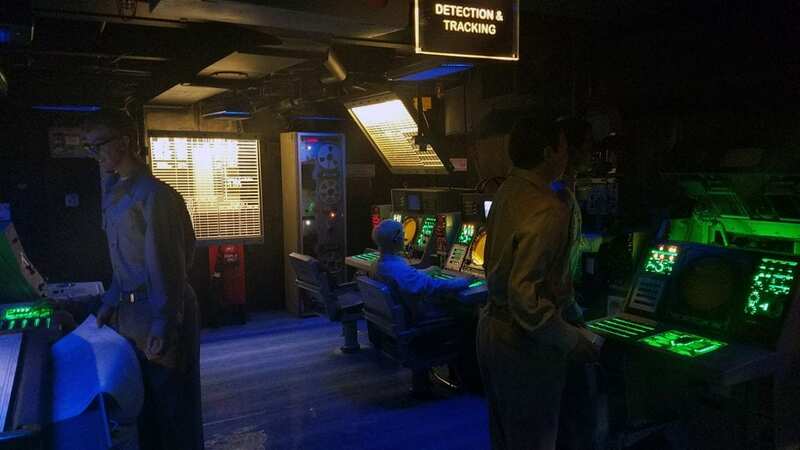 Walk through the Command Information Center (CIC) the tactical center of the ship. 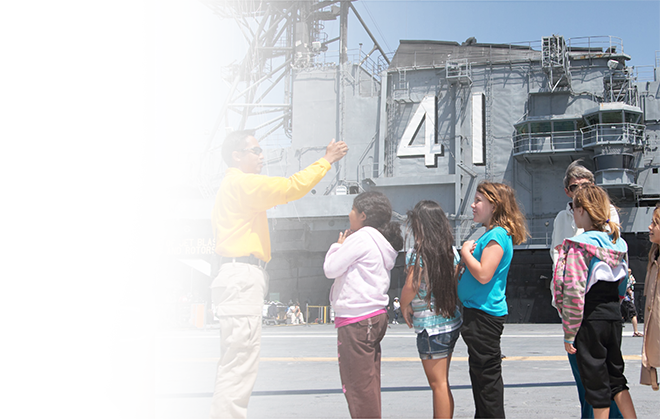 Carrier Air Group spaces detail the every day operations of the Midway Air Wing. 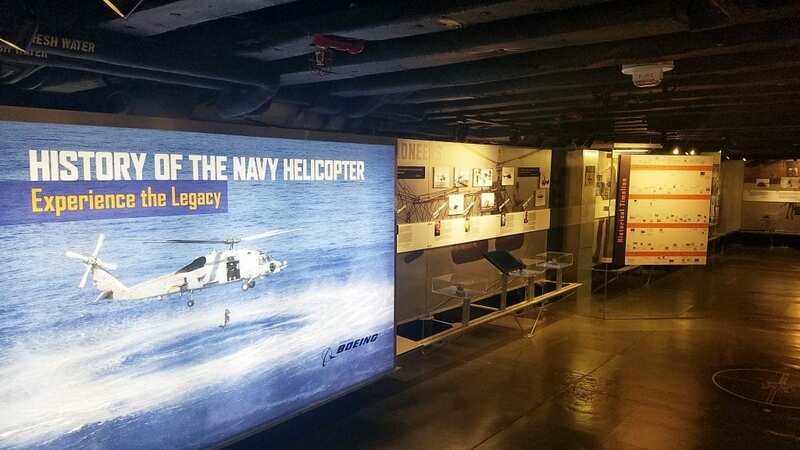 Explore the history of the helicopter and their importance to Naval Aviation then and now.